“Leadership is a contact sport!” The second book looks at “Resilient Leaders” ̶ how do we as leaders rebound and help others do the same. In the rough and tumble of life, leadership makes a difference. Excellent leadership (to which we aspire) integrates disciplines which ensure personal resilience, and promote resilience in others and in organizations. 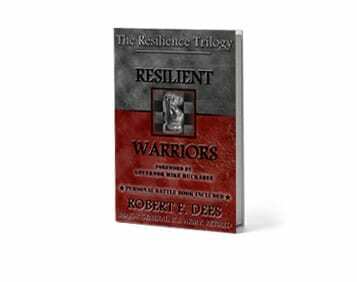 In Book 1 of The Resilience Trilogy, Resilient Warriors, we established a solid foundation of resilience principles and practices. Now we move into a higher tier of consideration: How do I help others navigate the body slams of life? How do I help the organizations and people I lead recover from changing market conditions, tragic circumstances, perplexing dilemmas? How do I, as a leader, “give life?” How do I help people, teams, and entire organizations ride out the storms of life with values intact, restore function and enter into growth, and rebound to greater heights? How do I do this, again and again? How do I stay the course? How do I bounce back, and how do I help others do the same? 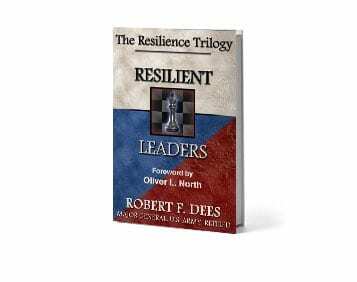 My own life experiences as a leader in the military, business, non-profit ministry, and consulting have amply demonstrated the need for leader resilience. Certainly most of my time as a leader has been tremendously rewarding as the teams and organizations I have led experienced productiveness and prosperity. Yet, there have been times when I questioned if I could truly go on, times when I was about to go under, times when the pain and fog of trauma and tragedy made me want to hide. Frankly, there have been times when I wanted to quit. I know that my candor regarding the doubts and discouragements of leadership reflects what all leaders periodically feel and experience. Leaders get tired. Leaders get body slammed. 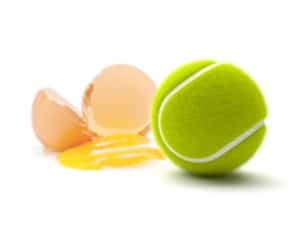 Leaders also must bounce back, ideally even higher than before. Leaders must be resilient.